With more than one in 10 houses in Chicago vacant, and experts expecting the foreclosure crisis to continue to grow, nonprofits and the city are renting out more of those properties and offering incentives for those willing to buy. Neighborhood Housing Services, a 35-year-old Chicago non-profit, this year will lend $18 million for single-family home purchases and re-financings of one- to four-unit buildings. The non-profit also is expanding its lending focus to help local residents and/or investors buy vacant foreclosed properties and rent them out, said Ed Jacob, executive director of the Neighborhood Housing Services. “This will be a new lending initiative, and we’re hoping to partner with the Community Investment Corp. and other organizations with expertise to help people do tenant screening, property management and other skills required of a landlord,” he said. 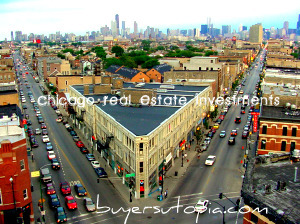 ATTENTION CHICAGO INVESTORS: Get up to date information of all Chicago Bank & Lender Owned Properties on the Market. 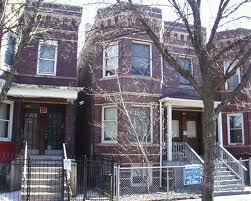 Click Here to View Chicago REO Properties. A separate program, the Neighborhood Stabilization Program run by the city and the non-profit Mercy Portfolio Services, a subsidiary of Mercy Housing, has received $169 million in federal Recovery Act money to acquire and tear down vacant and distressed properties. So far, the program has paid for 51 demolitions and the purchase of 161 properties comprising 819 housing units in 22 neighborhoods on the South, West and North sides, said William Towns, regional vice president for Mercy Portfolio Services. 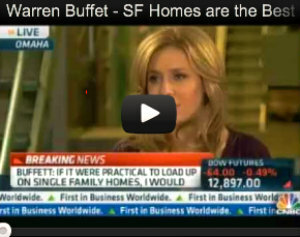 Of those properties, 75% are for rent and 25% are for sale due to market conditions. The agency’s goal is to rehab and acquire as many as 2,500 housing units in the next few years in order to rent, sell or demolish them. The program is available to people at or below 120% of the Chicago region’s median household income. Experts say as many as 18,000 vacant properties worth an estimated $1.3 billion are in some stage of foreclosure in Chicago, concentrated in South and West Side neighborhoods. A federal report released this week reveals that Chicago experienced a 60% increase in its vacant housing stock between 2000 and 2010, with a majority of those vacancies the result of foreclosures. The 2010 vacancy rate stood at 11.6% of Chicago’s housing stock, according to the report by the General Accounting Office, the nation’s Congressional watchdog that tracks how the federal government spends taxpayer dollars. “City officials told us they spent $875,000 to board up 627 properties in 2010 alone,” said Matthew Scire, director of financial markets and community investment for the GAO. The number of foreclosed properties that went to public auction in 2010 rose nearly 20% from 2009, to 10,569, according to the Woodstock Institute. The numbers are based on the institute’s tracking of completed foreclosures and the number of foreclosed properties that remain lender-owned after a public auction. Non-profit housing leaders expect the situation to worsen, according to a survey released by the Pierce Family Foundation, a Chicago-based foundation that supports non-profit groups that provide housing and other opportunities for the homeless. The survey reveals that 85% of the directors of Chicago’s leading non-profit housing agencies foresee an increase in foreclosures, and 82% expect an increase in underwater borrowers walking away from their homes. Sixty directors completed the survey, each representing a different agency. The most pressing issues in the near future include the availability of affordable rental housing, the number of vacant or abandoned properties and levels of unemployment and loss of income. To solve the problems, most respondents (70%) said reducing the principal that homeowners owe on delinquent mortgage loans would do the most good. And more (59.6%) blamed federal leaders rather than city leaders (7.3%) for lacking the will and fortitude to tackle the situation.